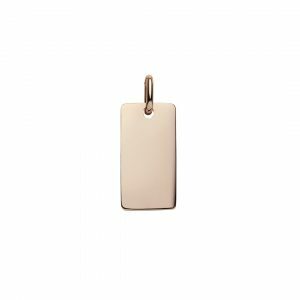 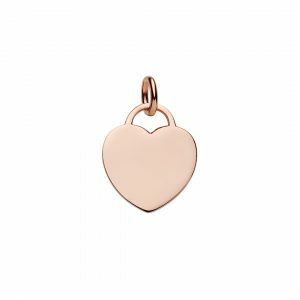 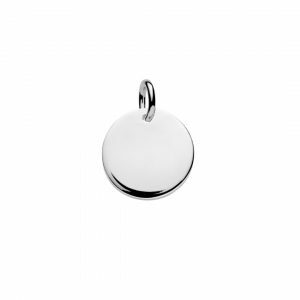 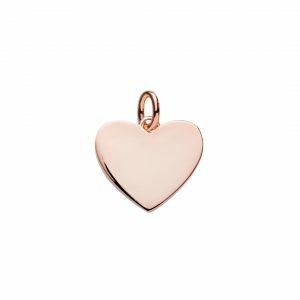 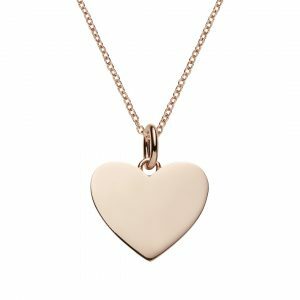 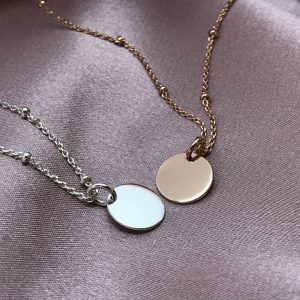 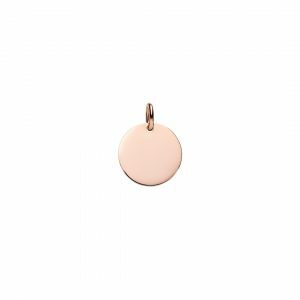 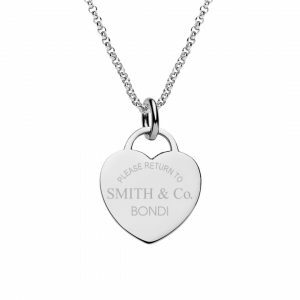 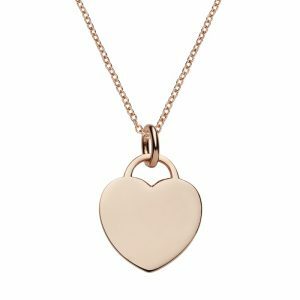 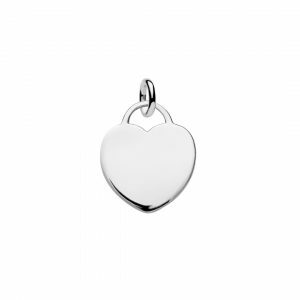 Rose gold plated sterling silver pendant 16mm across, 1 mm wide 3 different matching chains available – rose gold cable, rolo or box chains. 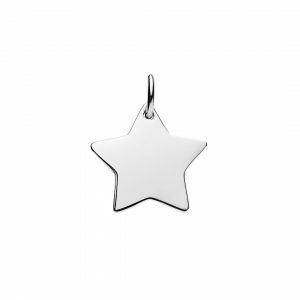 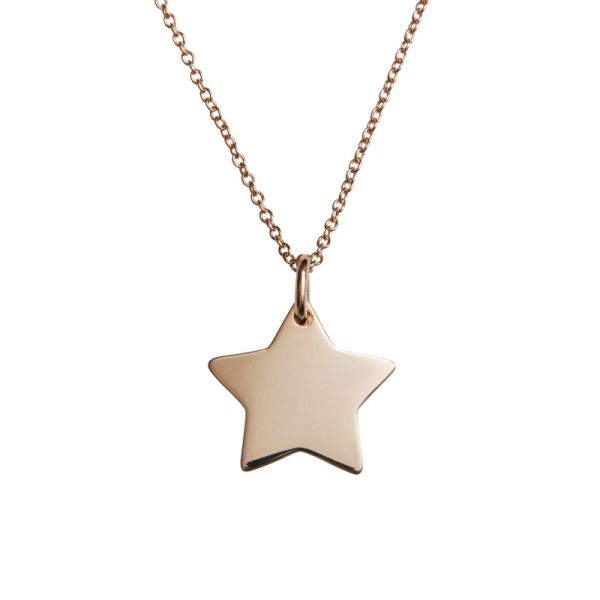 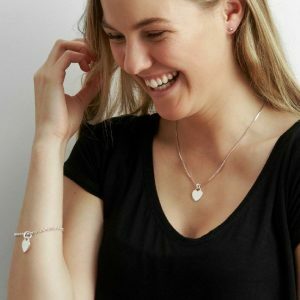 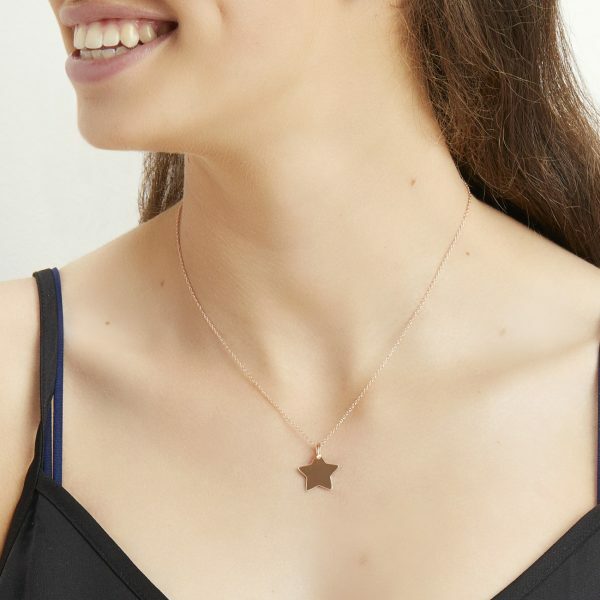 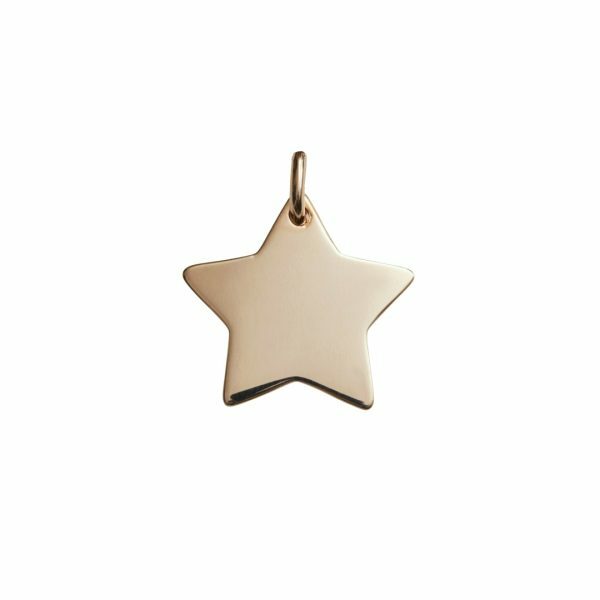 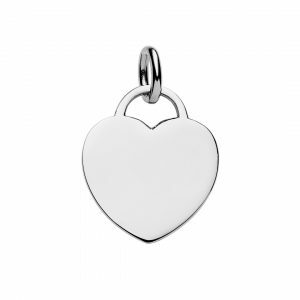 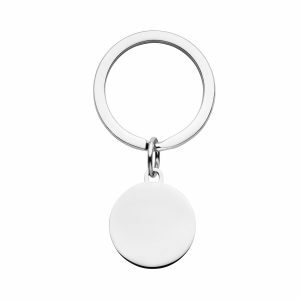 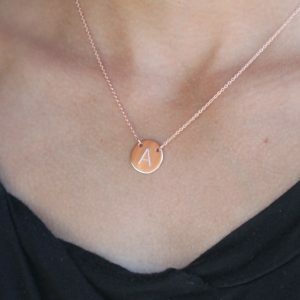 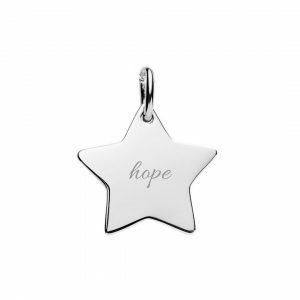 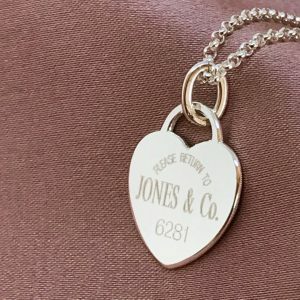 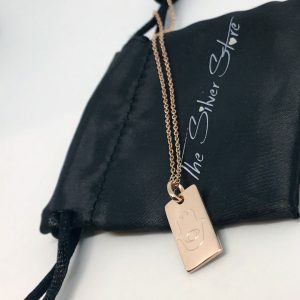 You can engrave this star pendant on both sides with symbols, names, dates, or message of your choice to create a beautiful personalised jewellery piece. 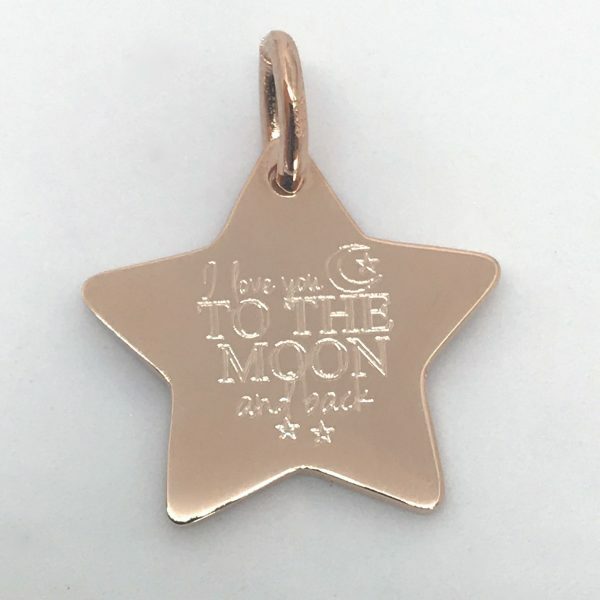 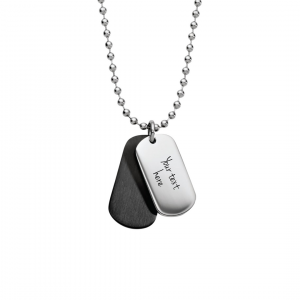 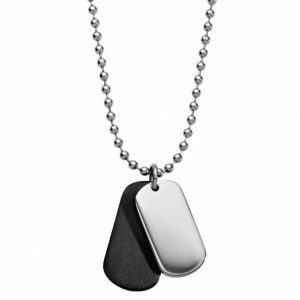 We even can even engrave copy of handwriting and your own custom designs.